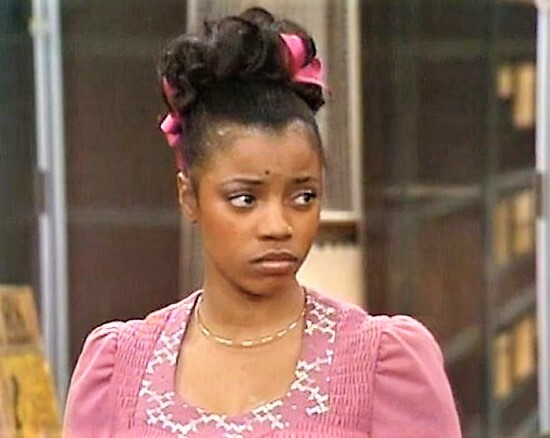 The first Black female character to play a teenager in a Black family on national television was the talented BernNadette Stanis. She portrayed the role of Thelma Ann Evans, the witty, smart, no-nonsense middle sibling on the hit show Good Times that ran on CBS-TV from 1974 to 1979. The sitcom centered around an African-American family surviving life in the projects of Chicago. She was the beautiful young teen that every Black boy fantasized about. 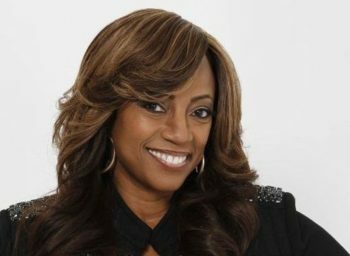 When the show ended, Stanis went back to school to finish up her education, and then later, appeared on various popular sitcoms such as The Wayans Bros. and Girlfriends. In recent years, Stanis appeared on a couple of episodes of Black Jesus playing the girlfriend of late comedian Charlie Murphy, who co-starred on the show. Originally from Brooklyn, New York, Stanis, a dancer, who attended the prestigious Julliard School, also has a passion for writing. She has authored four books: Situations 101: Relationships, The Good, The Bad & The Ugly; For Men Only; Situations 101: Finances; and The Last Night: A Caregiver’s Journey Through Transition and Beyond. 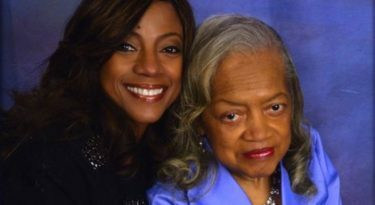 In The Last Night, she shares her experiences as a caregiver to her then-ailing mother Eula Stanislaus who died from Alzheimer’s in 2011. Stanis hopes that the book can help others who are going through a similar experience with a loved one. 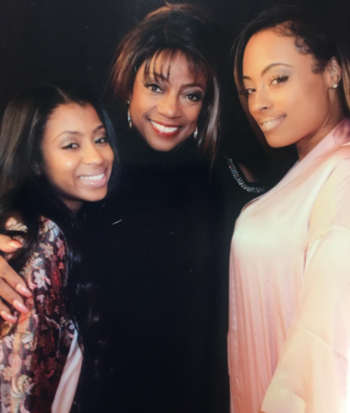 In honor of her mother’s memory, Stanis founded a nonprofit called Remembering The Good Times Foundation. Since the organization’s inception, Stanis has made it her mission to bring awareness to the public about the devastating condition by touring the country to speak at various events. 50BOLD: At what age did you begin acting and how did you catch the acting bug? Stanis: Well, you know, I was a dancer from age 5 and I would do dramatic dancing. In fact, I would sit, create scenes in my head, and then act as I danced. I studied at The Juilliard School and felt dance was just something that was in me. My mom encouraged it. Years later as a teen, when I was a beauty pageant contestant, a manager spotted me and spoke to my mom about an audition for Good Times. 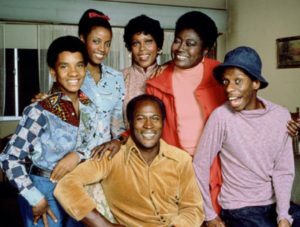 50BOLD: How old were you when you started Good Times? Stanis: I was 16 and it took a couple of months to actually land the role. I went to CBS and when I arrived, there were hundreds of girls auditioning for the role as well. Well, I was surprised and thought, “Oh boy, what is this!” There were so many girls and it was my very first audition. So I did my little part and improvised as well. Norman Lear, the show’s producer, was there. I really didn’t understand the weight of it all. I just did my thing. And it was a good thing I didn’t understand the magnitude of it all because my audition was more natural. About a month later, my mom received a call and was told, I should go to California to audition there. Well, we went to California, I auditioned, and there were four girls also being considered at the time. I had to stay in California for a week. As we were getting ready to go back home, we get a call and are asked to stay for another week. We stay for another week, and then head home. We didn’t hear anything for about another month. Stanis: That was a wonderful time in my life. 50BOLD: Do you keep in touch with the cast members? Were you close with any of them? Stanis: I was very close with Esther Rolle. She was my television Mom, you know. We were very tight. She was my great protector. And she wasn’t a meddler. She didn’t meddle in my business or anything like that but she was a great protector. I remained close with Jimmie Walker who played J.J. and Ralph Carter who played Michael. And I would occasionally speak to John Amos who played my father and Ja’net Dubois who played Willona. The guys and I, however, are still very close. 50BOLD: There’s been a lot going on with the “Me Too” movement. Did you have to deal with any kind of sexual harassment while on the show? Stanis: No, I was really blessed. I never had any incidents at all… no one ever came at me like that. Since I was so close to Esther…I don’t know. I never had to deal with it. Even if someone did hit on me or came at me in a certain way, I don’t think I was even aware of what they were doing! 50BOLD: Well, you were young, focused on the show, and that is probably all you were concerned about. Stanis: I just performed on the show and went home. I never had to deal with any sexual harassment. And I think if someone would have…then I would NOT have gotten the part because I wasn’t going to engage in anything like that! 50BOLD: Did you understand the impact Good Times had on Black families across the country? Stanis: No, I did not. I had no concept of the show’s impact on the Black community. I knew that it was the first Black family show on TV. Being so young at the time and not fully understanding life, I was just happy to be a part of the entire experience. I knew I could help my mom, dad and educate my brothers and sisters and this made me happy growing up. I’m grown now, and of course, understand the show’s impact. People tell me all the time what the show meant to them. I was the first Black female teenager ever on a television show. My fan mail revealed how most of the young Black men liked me as a sister, friend, or that they wanted their girlfriends to be like me. And I realized all of this as an adult. 50BOLD: So you did get a lot of fan mail? Stanis: CBS they took control of our fan mail. I never received all of my fan mail. What they used to do is give Esther and John the bulk of the fan mail every week. Jimmy would almost receive the same amount as Esther and John. Ralph and I would receive half the amount of Jimmy’s fan mail. Ja’net would get the least amount and this is how the network controlled us each week. 50BOLD: Wow, you would think that when the mail came in you would all be given your own fan letters! Stanis: No way. You’d probably have a fight on the set! 50BOLD: Perhaps the fan mail was controlled to minimize jealousy. Did you have to deal with any stalkers? Were there any fans that got out of control? Stanis: I had one. Not out of control at first but he actually stalked me for 30 years. Stanis: For 30 years! And the scary part is…I never knew what he looked like. When we’d do the show we had a live audience. During tapings, we would look out into the audience to greet everyone. So when this guy would write to me, all of his letters would state that when I looked out into the audience, I’d be staring directly at him. He said our eyes would meet and that he was in love with me and we’d be together. Yet I could not spot this man! So anyway, he would write me like three letters a day. The penmanship would be the same. Like in the morning he would say, I’m getting up, I’m going to eat this and then I’m going bike riding. In the afternoon, another letter would come and then in the evening, he would write again. I eventually found out the man was on drugs. And he would send me all these letters. About 15 or 20 years later, I went to New York and had planned on staying there for a little while. And within a week of my arrival, a letter came to my home in New York. And I thought, how horrible! The man didn’t threaten me or anything like that. He would just continuously write me. And I wondered how was he able to track down my whereabouts? Well, I found out he worked for the Screen Actors Guild, which was how he gained access to my change of addresses! Stanis: So whenever I’d change my address, he would receive it! One day I was invited to do a filmed poetry reading for the archives of the Inner City Playhouse in LA. I agreed. So on the day of the event, a cameraman filmed me as I read my poetry. Once I was done, we thanked each other, then parted ways. The following day I was performing in a play and when I arrived at my dressing room, there was a red rose awaiting me with a message from a man that read, thank you for the poetry and he provided his first name. And I knew then, it was from my stalker. 50BOLD: You mean the man filming the poetry reading was your stalker!? Stanis: Yes! He was the one who had filmed my poetry reading. It was disgusting! 50BOLD: How did the harassment stop? Stanis: When I mentioned the incident to the playhouse staff they stated that the cameraman was an independent contractor. They didn’t know much about him. I never caught him. So when I was visiting New York again, yet another letter arrived and it stated… “You’re not answering me back and if you don’t answer me back I’m coming to New York!” This was all I needed to read! I took the letter to the police and they were able to get the man’s address. 50BOLD: So he hasn’t bothered you since? You’ve had no problems with him? Stanis: Well, when I went back to New York again a few years later, the guy knew my post office box because it was a public address for my fan mail. So he resumed sending me letters. 50BOLD: Is he bothering you today? Are you still getting letters? Stanis: No he stopped harassing me about three years ago. And the last letter he sent to me mentioned how he wasn’t going to write me anymore because he had become a grandfather and it didn’t work out with us. He never sent me another one. Thirty years of being stalked! 50BOLD: At least he didn’t harm you or threaten you. But it was still mental torture in a way. 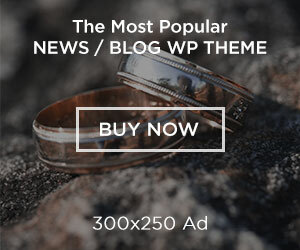 50BOLD: So are you married? Do you have children? Stanis: I’ve been married 31 years and have two daughters, 23 and 30. 50BOLD: Tell us what motivated you to write the book The Last Night? Stanis: I wrote it in honor of my mom. She had Alzheimer’s and I was her caregiver for 8 years. Before that time, I was touring with one of my books, Situations 101 Relationships. As soon as I stopped touring, I received the news that mommy was suffering from Alzheimer’s and I had to go to New York. So she came to live with me in California and I took her on tour with me everywhere I went. When I began writing the book, she and I would be discussing some of the situations in it and she sounded normal. She sounded fine. Six months after the book’s completion she started to decline. My brother would tell me to come and get her because she wasn’t doing so well. When styling her hair and dressing she wasn’t doing well, but she sounded okay on the phone. Sometimes while touring people would ask her tons of questions about me, our family life and about the show and she would answer them. And so one day I told my mom how we should write a book together that would answer all of the questions about us. It was a great idea and she was fine with it. So we got together to start working on it, however, it never went anywhere because Alzheimer’s began to move in quickly on her. Stanis: She came to live with me in 2006 so it was before this time. A couple of years later she continued to decline, so we never finished the book. We never really started it… The last night of her life, I was with her and felt compelled to finish this book when mommy makes her transition. I let her know how I understood that she needed me to write the book. So that’s why I titled it, The Last Night. In the book, I talk about everything she would have wanted me to mention–family life, extended family, how she named me, how she met my dad, my entire growing up experience. 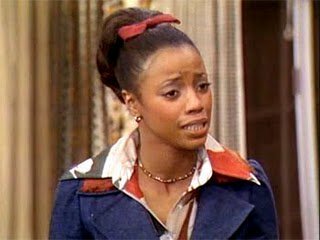 Mom would also want me to discuss how I won the role of Thelma on Good Times, what happened to my dad, and eventually what happened to her. I wrote the book, as a friend offering insight and advice, so that anyone who is a caregiver, would learn how it is all a process. Caregiving is a process that is very challenging. I also discuss in the book what Alzheimer’s is, where it comes from and why it is so prevalent in the African American community. We are two times as likely as Whites to develop Alzheimer’s. I have some theories; I think a lot of the condition’s causes are stress-related, maybe brought on by high blood pressure and cholesterol medications. 50BOLD: Can you tell us about Remembering the Good Times Foundation and why you started it? Stanis: Absolutely. My mother was in the throes of her illness, however, she was still watching television. One day, I decided to have her watch Good Times because she, of course, related to it and liked it. So she and I were watching Good Times and she looked at Thelma, Michael, and JJ fighting, playing, whatever we were doing. She then looked up at me and said, “You know that’s a cute little old girl.” And I said, “Yeah Ma, she is a cute little old girl.” It was at that very moment that I felt a knife had twisted in my chest, you know… Alzheimer’s, this monster of a disease, took away my mother and robbed her of the very memories she so cherished. 50BOLD: How old was your mother at that time? 50BOLD: Is there something about you that your fans don’t know? Like I didn’t know you write poetry. Stanis: Besides writing poetry I like to paint. I used to be a vegetarian. I’m still mostly a vegetarian. 50BOLD: What do you have coming up in the future career-wise? Are there more plays, acting? Is there anything left on your bucket list you want to accomplish? Stanis: I want to focus on doing more television and films because my fans keep asking me to do this. I also do intend on writing more because there are so many outlets now. Next articleWTH! Cursing is good for you?